Kills roaches as they hatch. 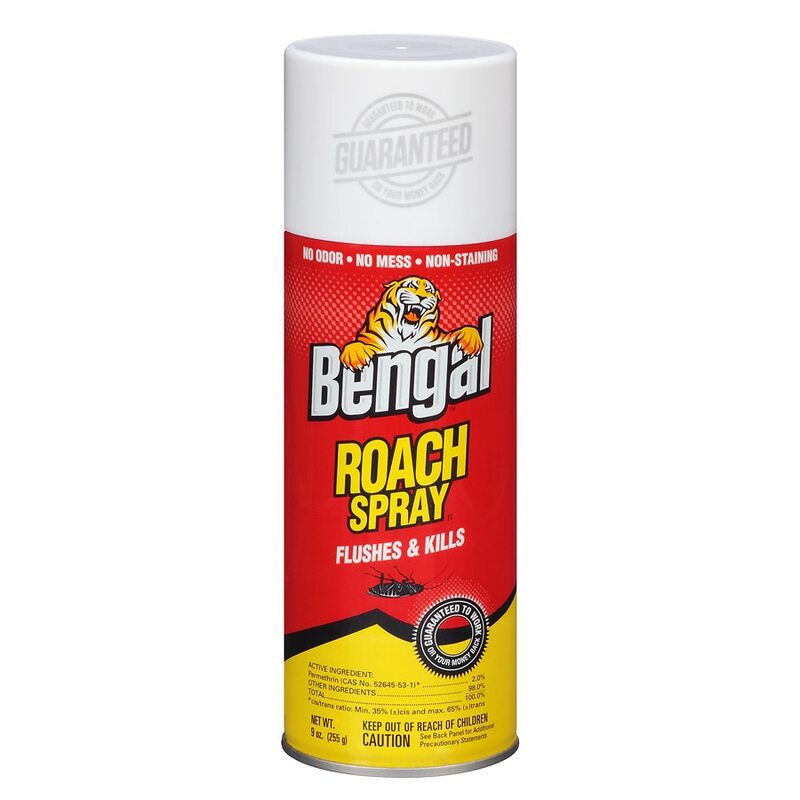 The dry powerful spray penetrates deep into cracks and crevices to drive roaches out to die.
. © 2011 Bengal Products, Inc. Harmful if swallowed or absorbed through skin. Avoid contact with eyes or clothing. Wash thoroughly with soap and water after handling. Remove contaminated clothing and wash before reuse. FIRST AID IF ON SKIN OR ON CLOTHING: Take off contaminated clothing. Rinse skin immediately with plenty of water for 15-20 minutes. Call a physician or poison control center immediately for advice. IF IN EYES: Hold eye open and rinse slowly and gently with water for 15 - 20 minutes. Remove contact lenses, if present, after the first 5 minutes, then continue rinsing eye. Call a physician or poison control center for treatment advice. Flammable. Contents under pressure. Do not use or store near heat or open flame. Do not puncture or incinerate container. Exposure to temperatures above 130°F may cause bursting. Never leave container in parked or unattended vehicles. This product contains a highly flammable ingredient. It may cause a fire or explosion if not used properly. Follow the "Directions for Use" on this label very carefully..